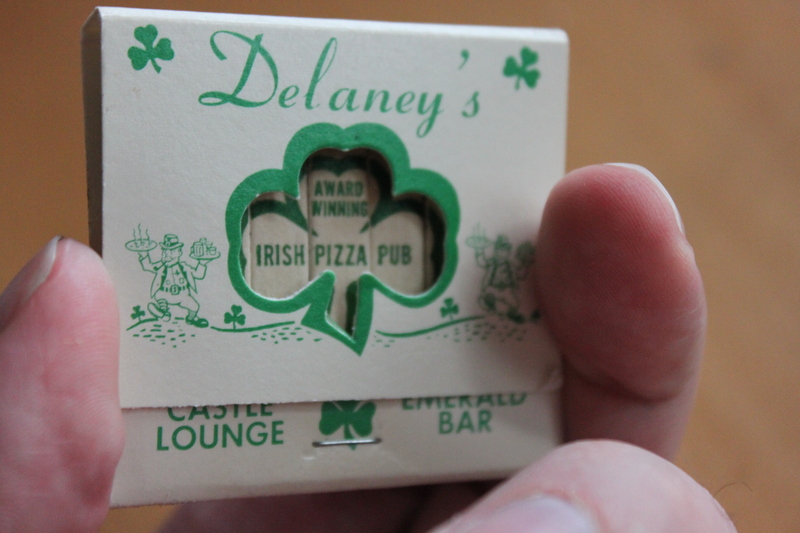 Anyone who had the pleasure of experiencing the legendary thin crust pizza at Delaney’s Irish Pub will surely never forget it. If I live to be 100, I already know it will always rank within the top 3 pizzas I’ve ever had. Sadly, the Irish Pub (after just a few years under new management) burned to the ground in an apparent insurance scam arson in June 2003. It never reopened. 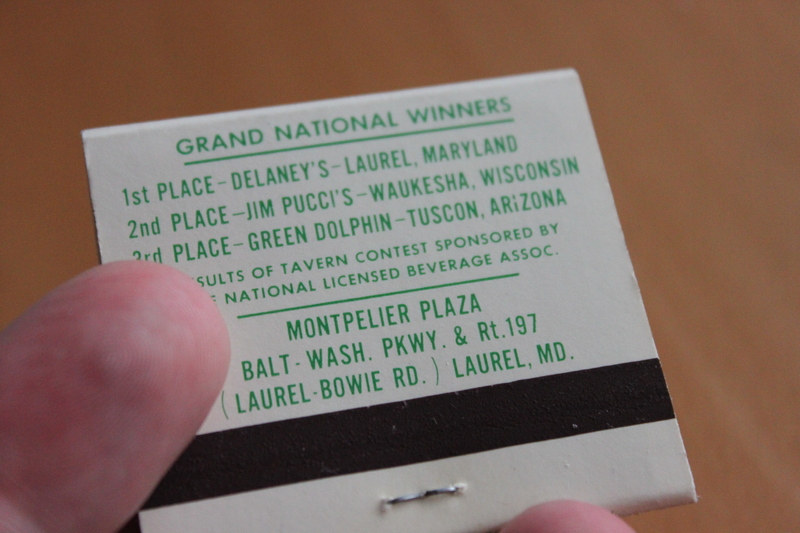 So it’s with some irony that my one piece of Delaney’s memorabilia is an old book of matches. 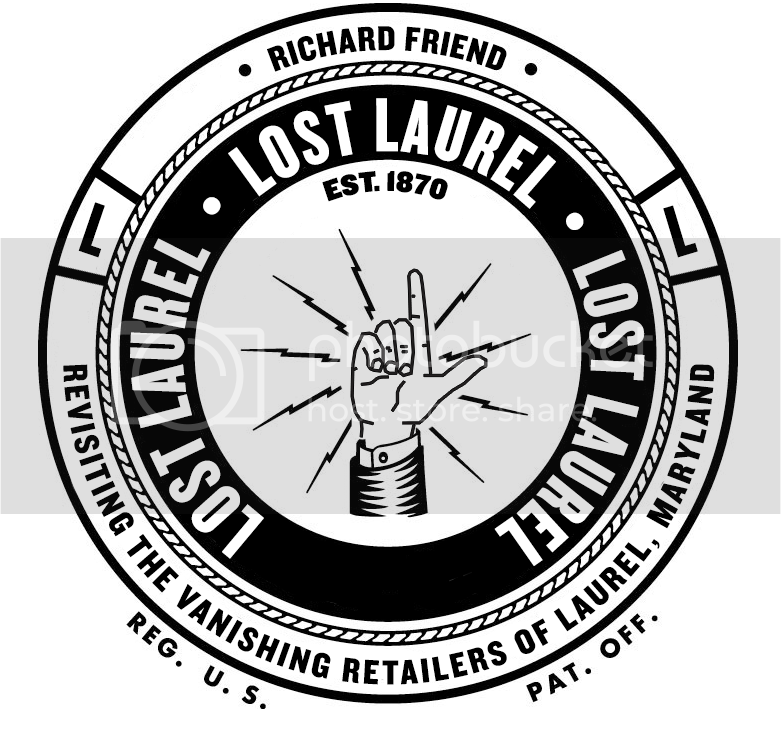 There are at least a couple of Facebook fan pages worth checking out, where many former employees (and several hundred loyal customers) have reconnected. Hopefully someone saved the pizza recipe, and they’ll join forces soon to resurrect this landmark. 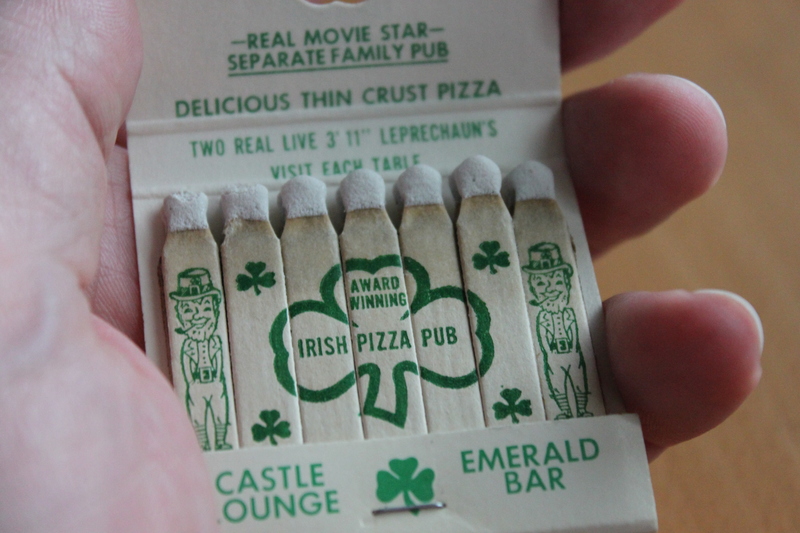 I do remember those great matchbooks; on a side note: I know ARBY’S is a Laurel institution as well and still maintains the great “hat” neon sign, but how does that place stay open ? The food has been consistently bad for decades. I was at Ft Meade MD. 1976! Never forgot this pizza and one day would love to have it again! I live in Seattle now darn it!!! To long ago. Best pizza ever! 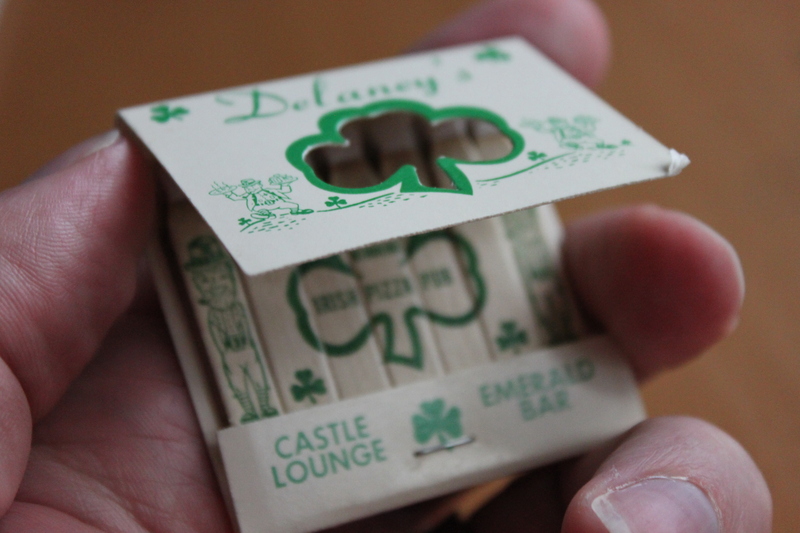 For those that loved the soft thin crust from Delaneys. I urge you to try Ledos, it reminds me of Pal Jacks on Main Street, and they are the best soft curst pizza in the state, and cut in squares, like Pal Jack and Delaneys was. As for my best Pizza memories, Deli One in Maryland City and Brockbridge Road, they had the thickest pizza and was the best I ever had.